The times they are a-changin’. No longer can you write a blog post, press release, or other online content jam-packed with keywords and links, and expect it to rise to the top of the Google search pile. Google’s latest algorithm update, Panda 4.1, implemented on September 23rd, 2014, rules the world of online search. Panda’s primary job is to determine whether web content is intended for human readers (like it’s supposed to be), or if it’s there to trick the bots and spiders into putting your page up higher in the search ranks. And Panda is smart. Certainly smart enough to know that the blog post you just published with the phrase “DUI Attorney Denver” in every single sentence was not meant to catch the eye and interest of a human being, but rather to influence your search traffic. And what does Panda do to such content? It buries the post in Google search results; and what’s more, it could actually wind up affecting your entire website. That’s right — once you’re caught trying to game the search engines with spammy, keyword/link-stuffed content, your entire website could get thrown back to page 50 in Google’s search results. With the advent of Panda, Google can separate spammy content – like sales pages for cheap Canadian prescription drugs – from real, worthwhile content, like an article about the huge breakthrough in clinical research at a Canadian pharmaceutical company. So what do you need to know to keep your blog posts and press releases safe from the wrath of Panda? Check out the criteria below and compare them against anything you may be preparing to publish. Just what is the Panda Looking for? Google Panda looks for credible, useful information, content free from spelling and grammatical errors, and original research and analysis. In a human way, the algorithm seeks to “trust” the website. It looks for qualities like clear, concise writing and an organic readership. For example: does your site have the kind of writing and information that would lead someone to trust you with their credit card information? Timing – Is the story new? A new story is much better than one that everyone heard about a week ago. This appeals to actual human readers who will read, enjoy, and share your content via social media and their own pages. Significance – Are many people affected? Will the people in your niche and industry care about what you’re sharing? The more that your content can involve people outside your company, the more impact it will have. Proximity – Is it a local story? If your story has local significance, put that at the beginning! Nothing drives a story more than appealing to local curiosity. Prominence – Famous people make news. If your story features a well-known personality or topic, it will be more likely to get seen. Human Interest – Curiosity killed the cat and also got it on the front page. Human interest stories work because they appeal to people’s emotions. A veteran returning home; an employee who volunteers for great causes on the weekend; if it’s a “people” story then it’s going to garner interest. All of the above guidelines above have genuine content as the overarching theme. Rather than listening to ill-informed SEO advice on marketing your content with a search engine as your “end user,” follow these rules and write your content with the interest of an actual human being in mind, and Panda will be your friend. 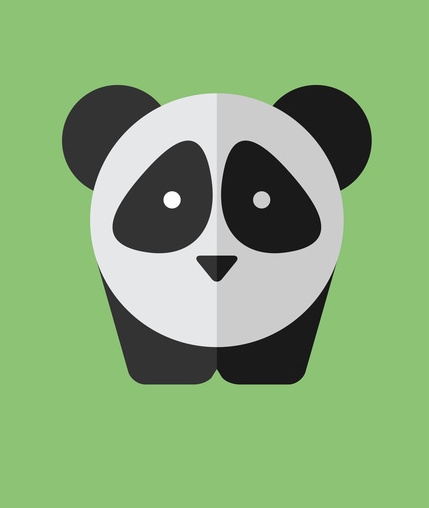 Has Panda affected the way you write and issue content? Start the conversation in the comments! Guest article was written by Mickie Kennedy, founder of eReleases PR. He currently based in Baltimore, MD. I have always designed our site and articles, news stories with the users in mind and google and the other search engines are secondary. The user has to like the site, not search engines. Great to hear, Ron! You’re absolutely correct! The new update of Panda was intended to focus on the content. Now, content is really the king and search engine can’t be fool. Very well put, Lauren! You’re absolutely correct! I found this an interesting read, and fortunately it ties in with my way of thinking. Unfortunately, local to me does not tie in with English, and how the linguistics work on the little black bear could be another story! I Started Freelancing Online, completing various simple jobs that only required a computer and internet access and it’s the best job i ever had… 6 months have passed since i started this And I had Profit total of 36,000 Dollars… Basicly I earn about $80/hour and work for three to four hours a day.And the best part about this job is that you can determine your own working hours and you get Paid at the end Of every Week.